School Health module is another unique programme of the Society. The programme focused on raising awareness among students on the misuse of antibiotics taking leads from stop firecrackers campaign. 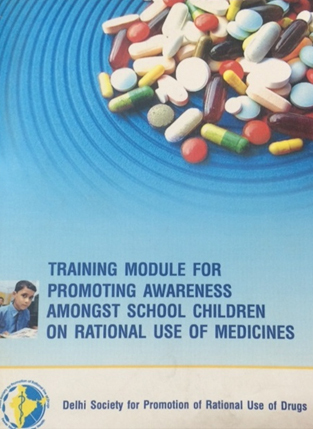 Also undertook project on "Promoting Awareness Amongst School Children on Rational Use of Medicines" with support from World Health Organization. The School Health module was developed and tested in 10 schools and covering 1500 children in Delhi. The results were very encouraging as students and the schools played a pivotal role in promoting the campaign.